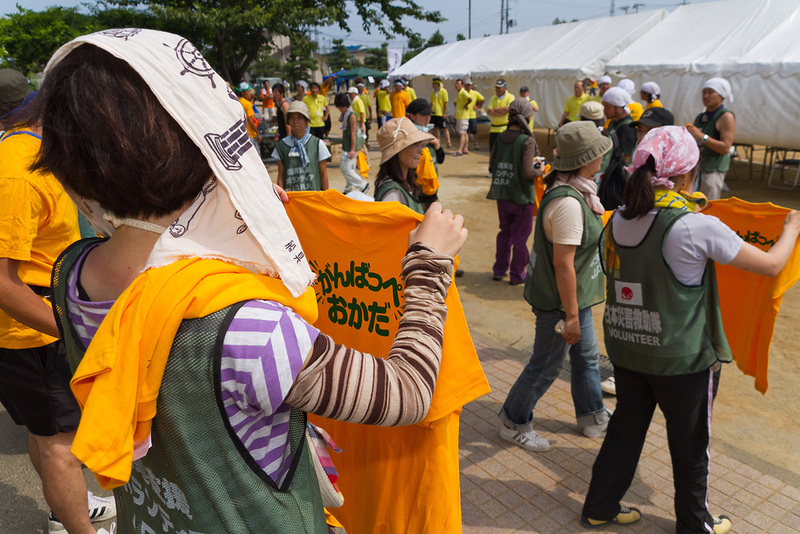 On the T-shirts that were handed out to staff, “Ganbappe Okada (Stand Up Okada)” is printed in big characters. 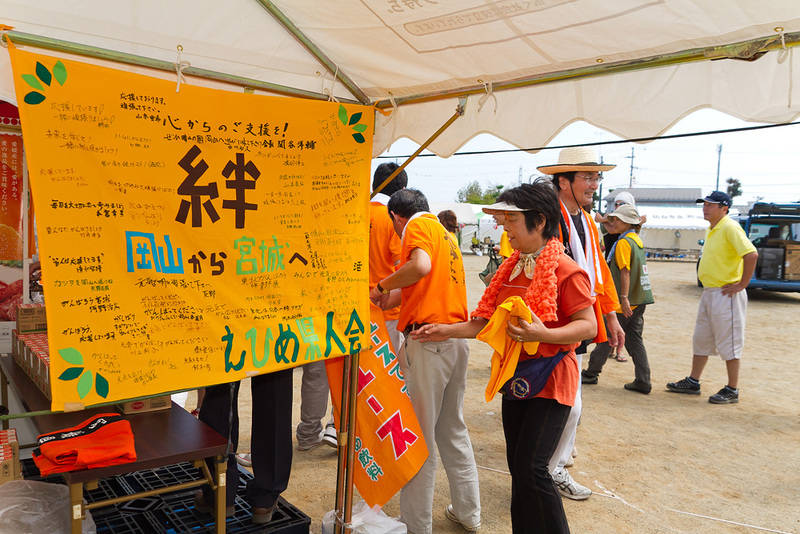 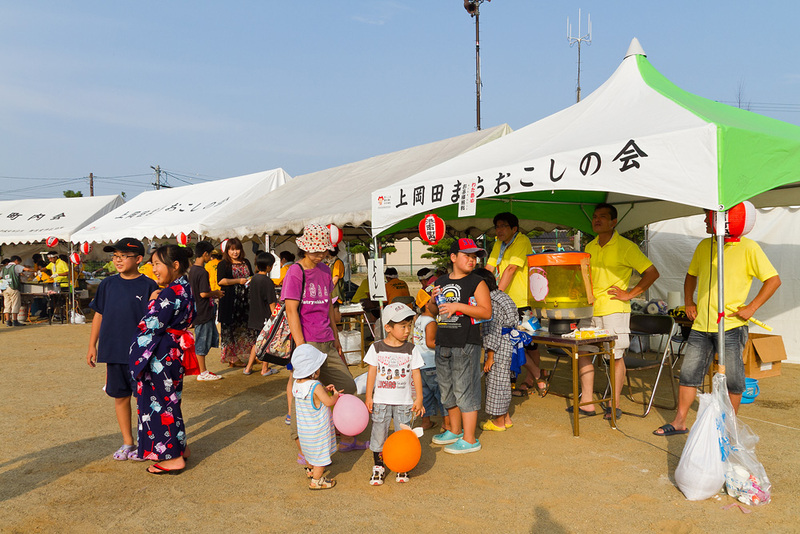 In the tent of the association of people from Ehime Prefecture living in Miyagi there is a faucet from which POM Juice (orange juice drink) flows. 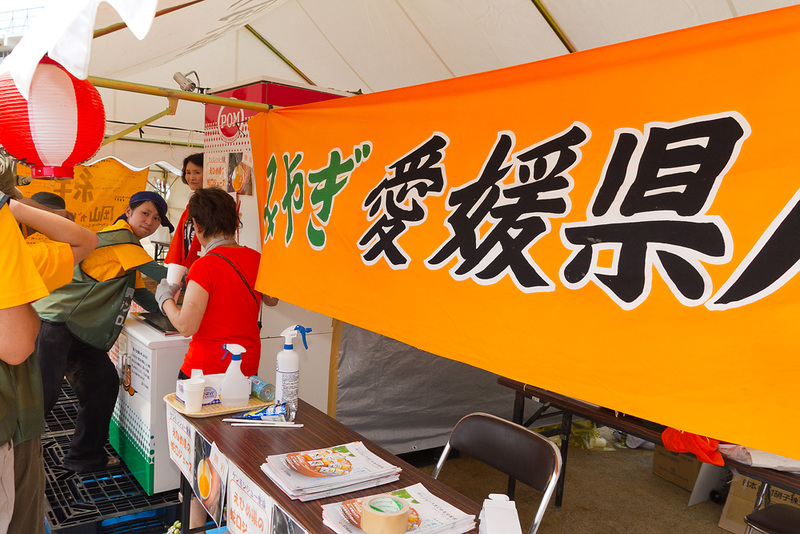 The juice was provided free of charge. 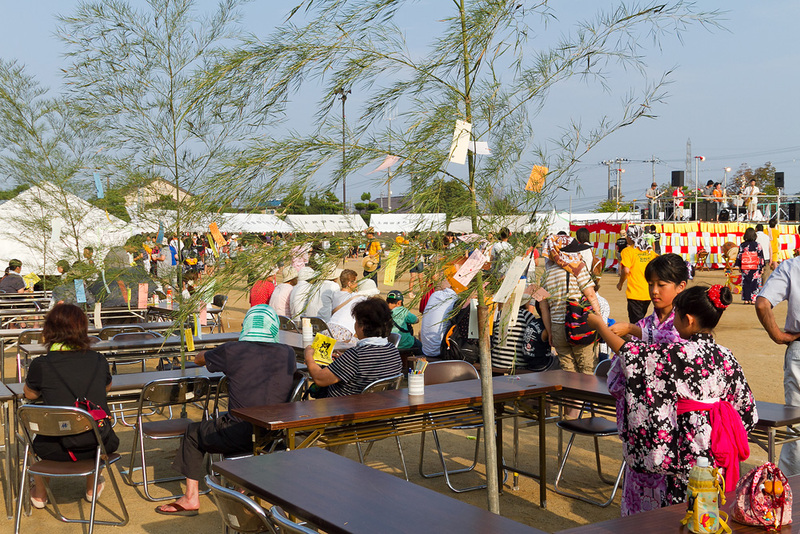 This faucet is said to have been installed at the Matsuyama Airport in Ehime for a limited time only. 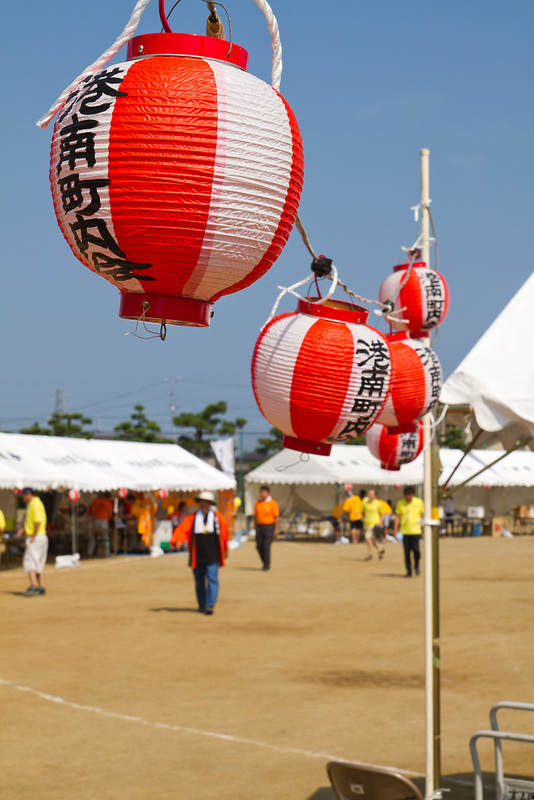 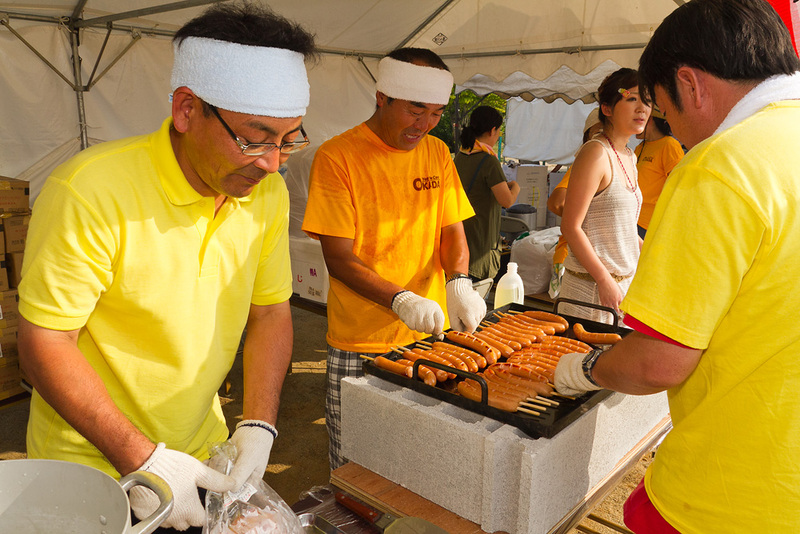 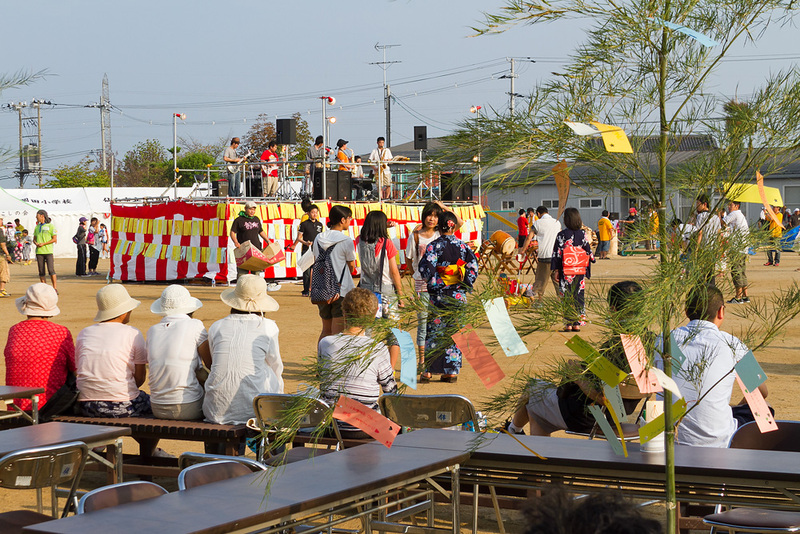 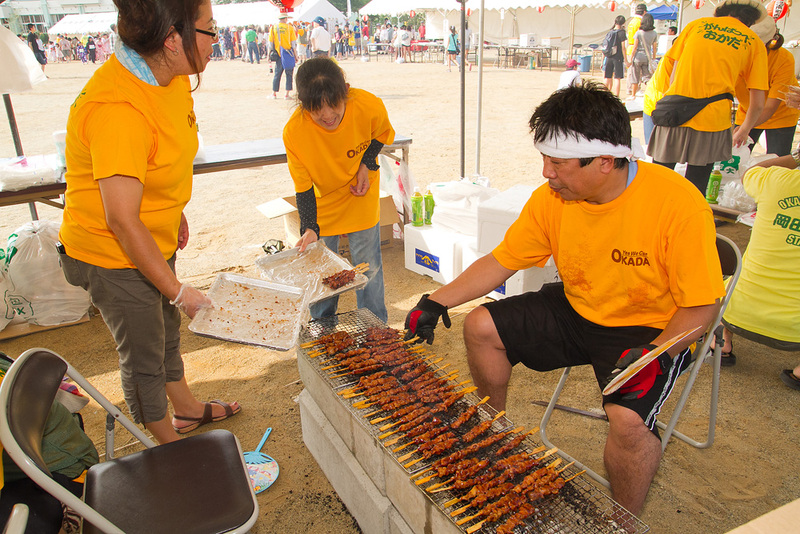 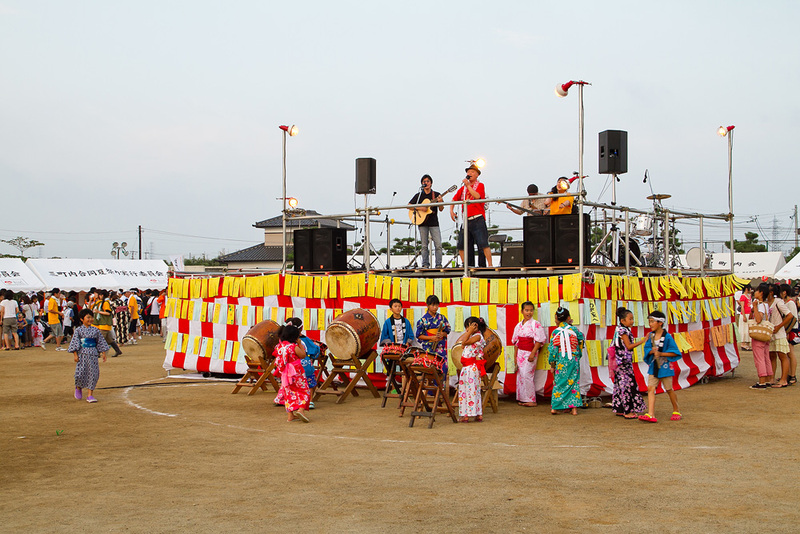 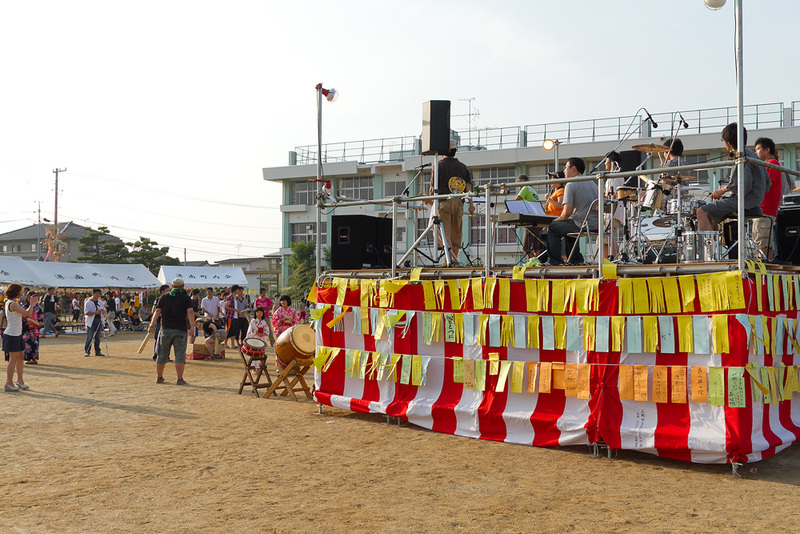 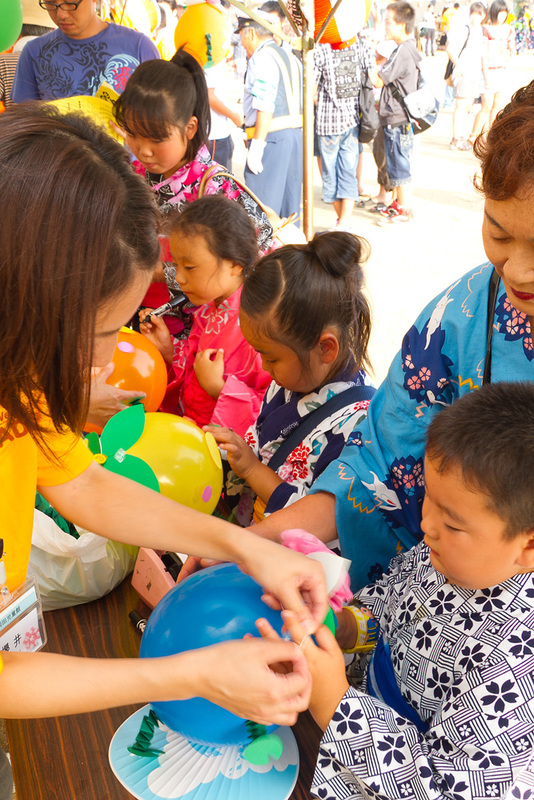 I learn that this summer festival is jointly held by seven neighborhood associations in the Okada area. 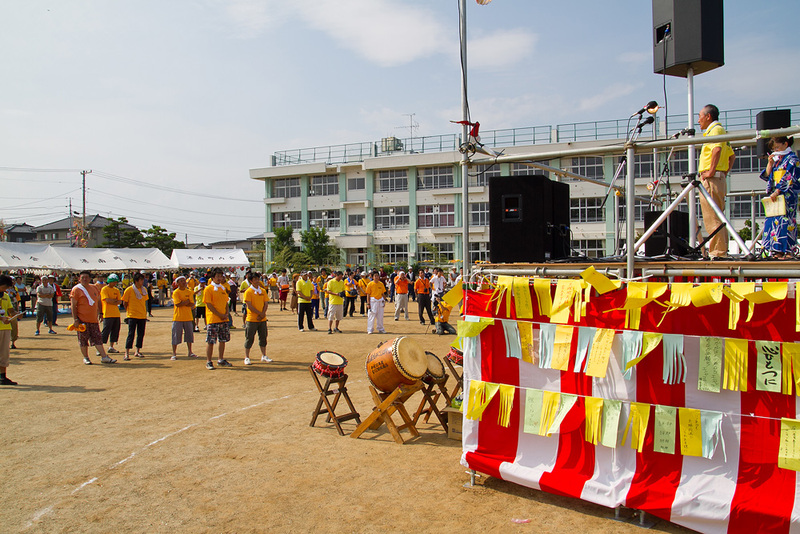 As the stage is being set up, a rehearsal of Minamigamou-daiko drums starts. 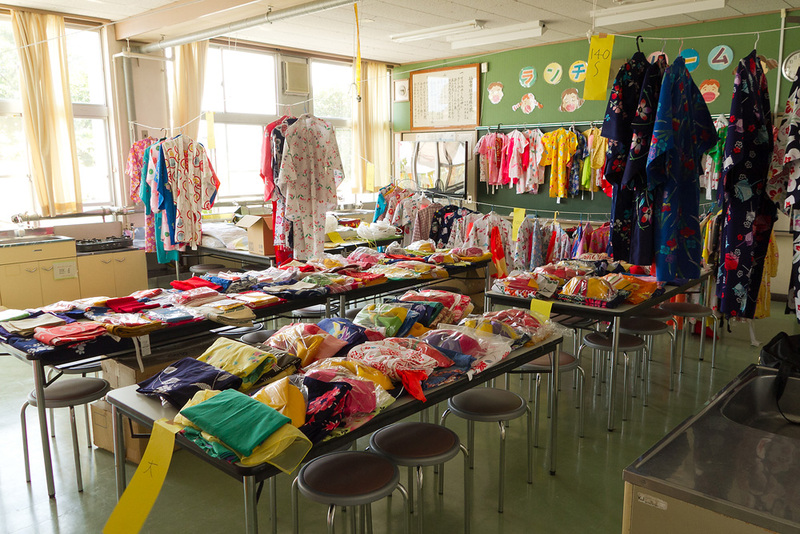 A large number of yukatas, cotton kimono for summer, are prepared. 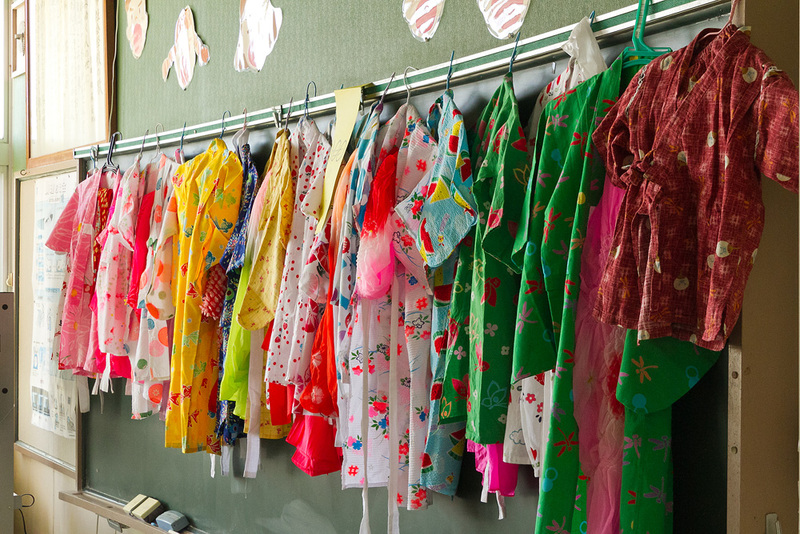 Sent from all over the country these yukata are provided to those who wish to wear one. 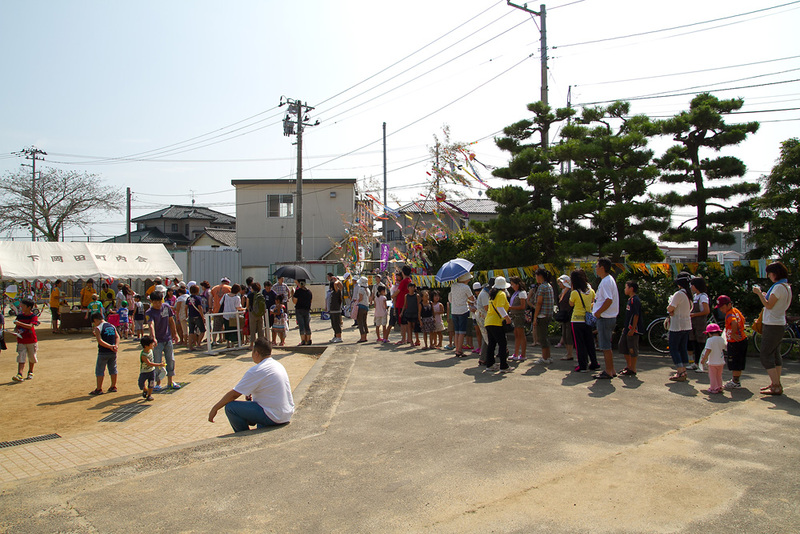 Immediately after the venue is opened, a long line of people form. 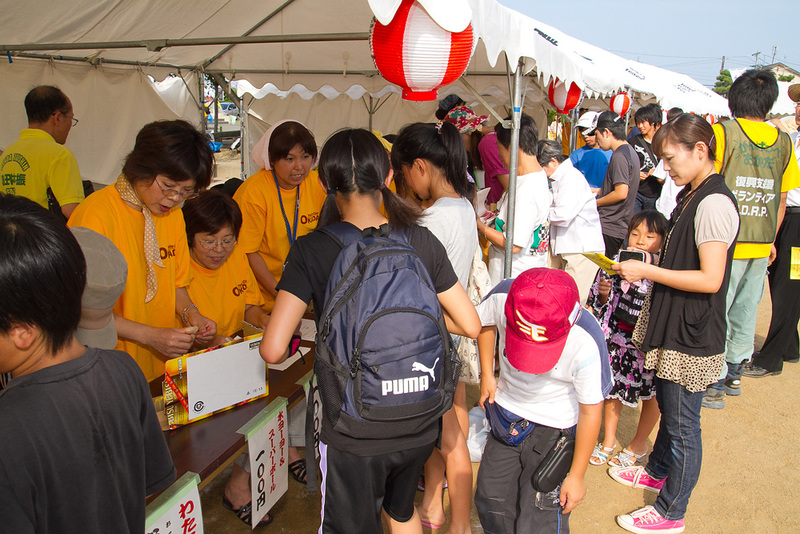 People line up in front of the POM Juice tap. 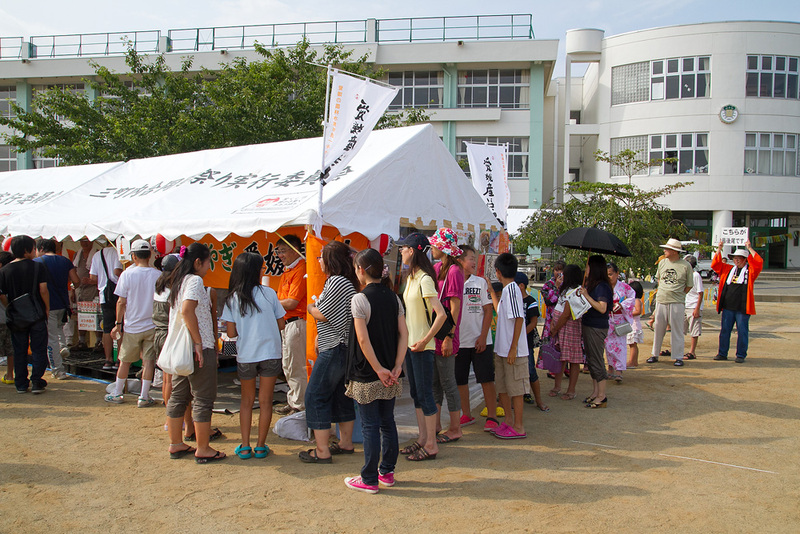 There are many people at the food ticket counter. 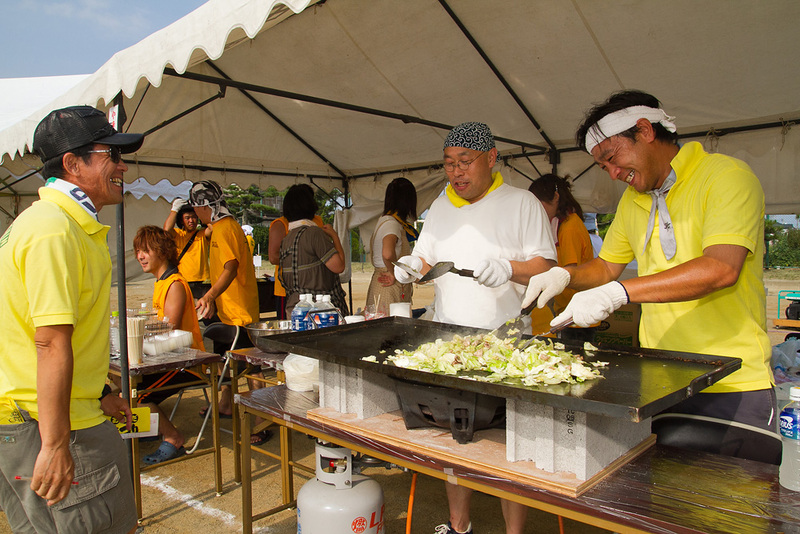 It is time for the staff at food stalls to work hard. 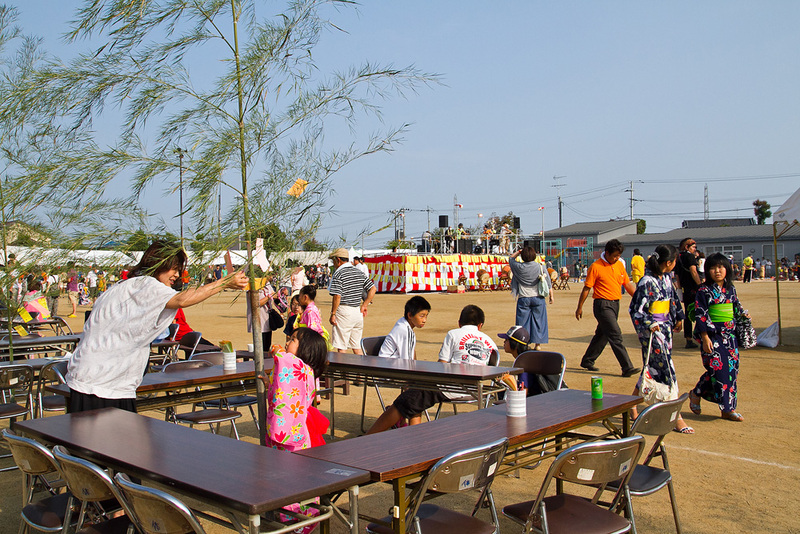 People adorn the bamboo tree with strips of paper. 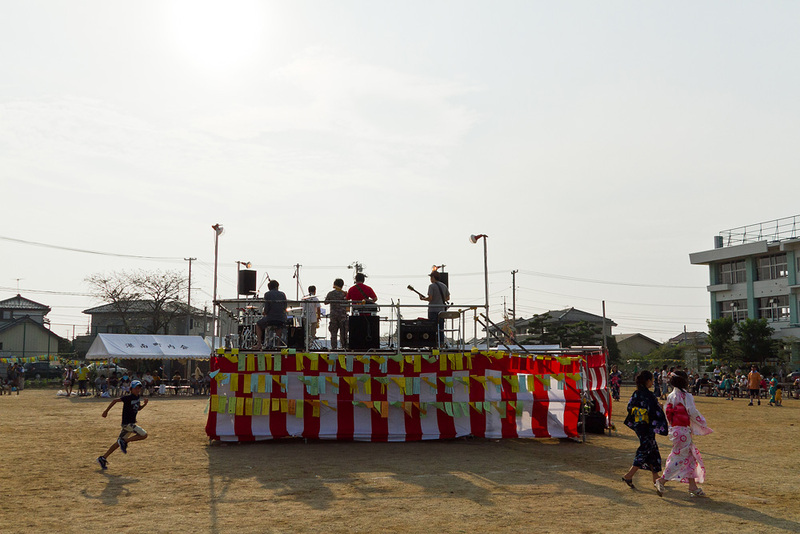 A jazz band begins to play. 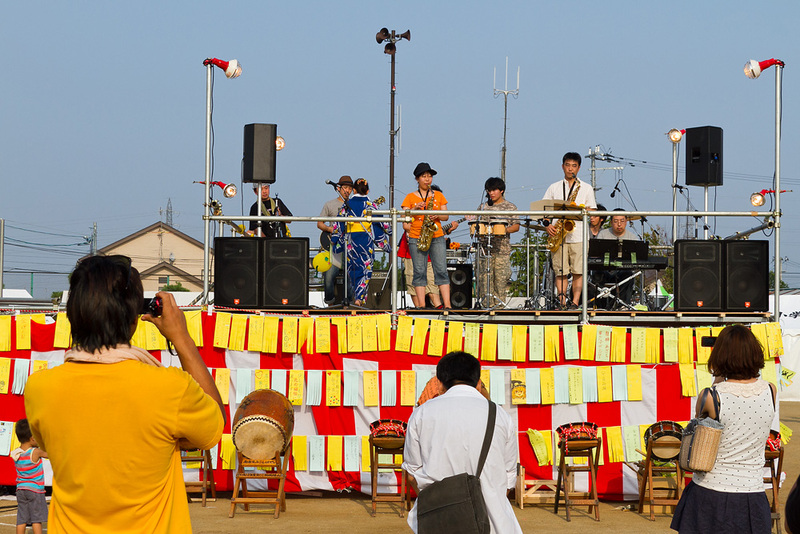 I heard that members of this band fell victim to the earthquake, lost their instruments, and yet managed to get to the point where they can play again. 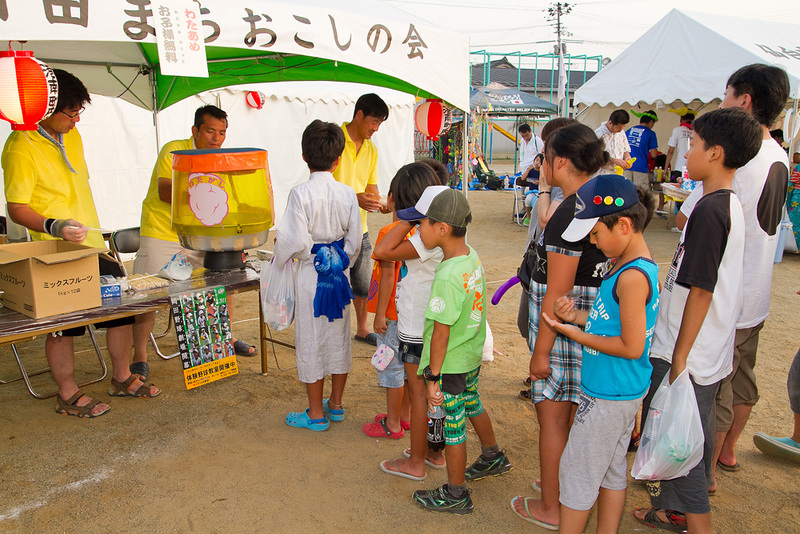 Cotton candy is popular with children. 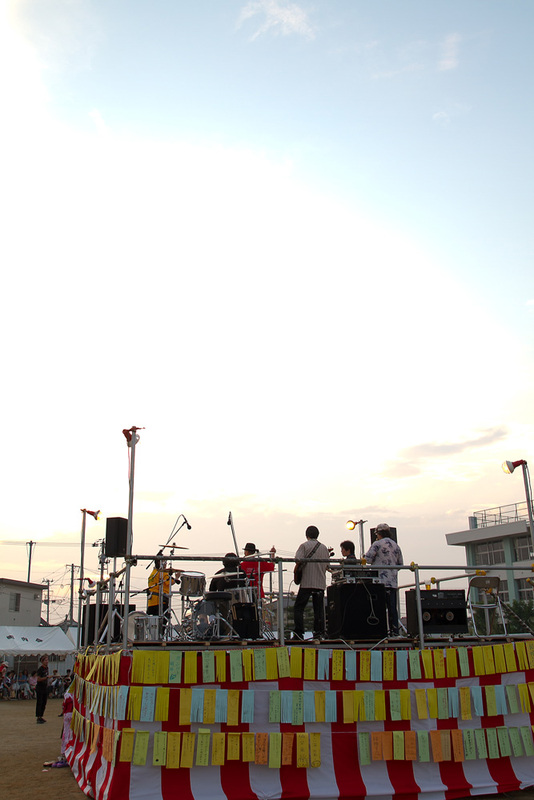 The sun starts going down. 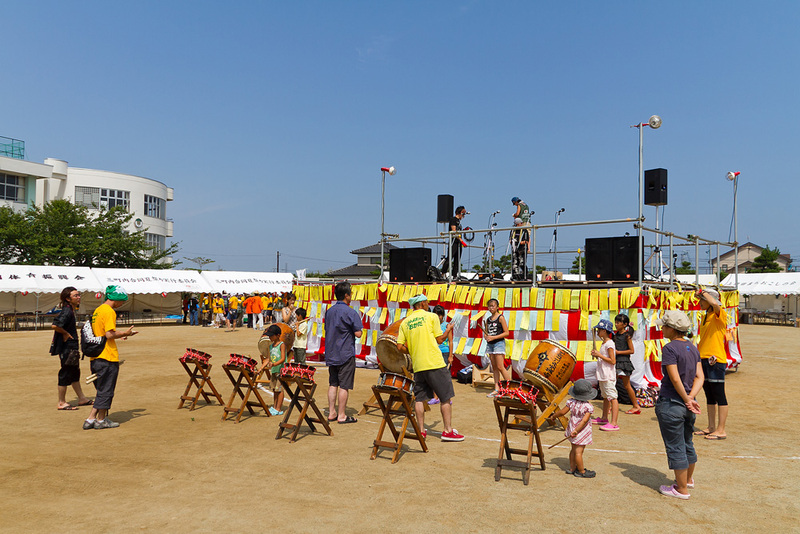 On the stage, the performers have changed.